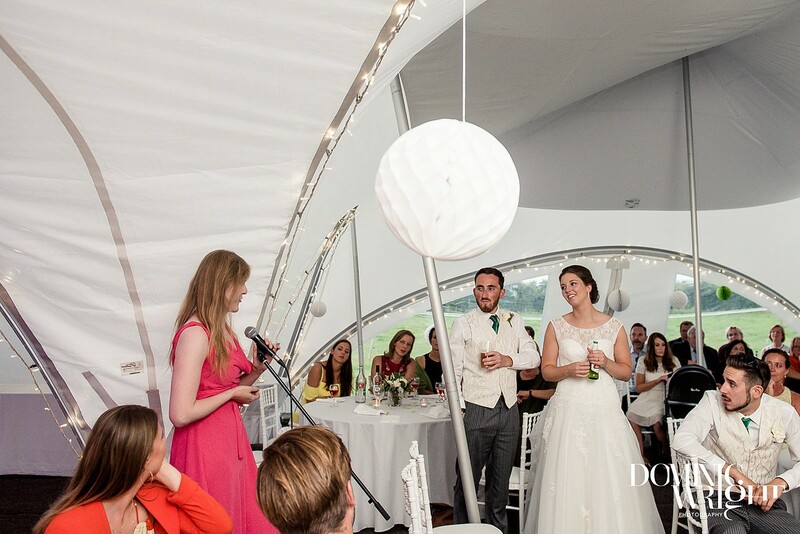 Our Oak Tree Farm venue hosted 3 x 30′ x 40′ trapeze marquees beautifully decorated for Tom and Lotta’s big day. 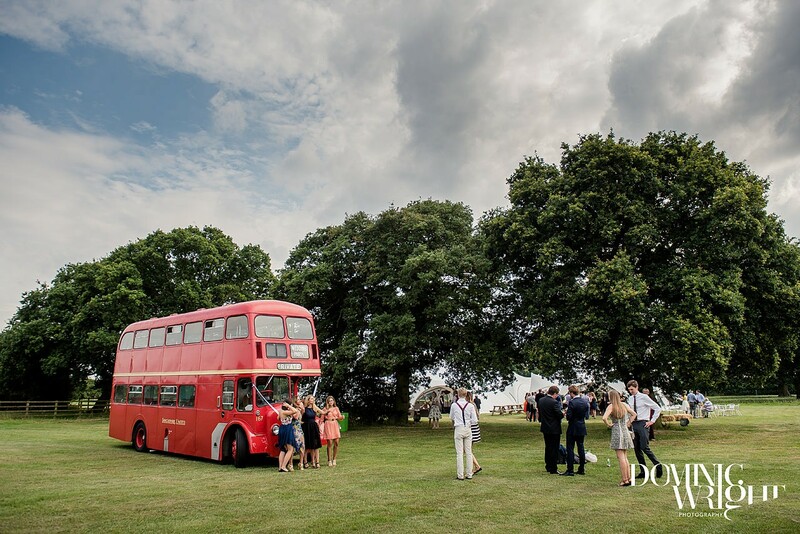 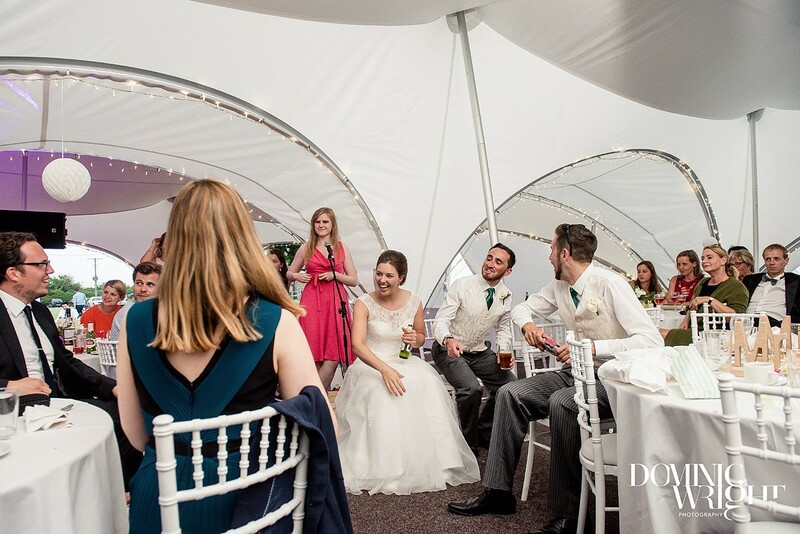 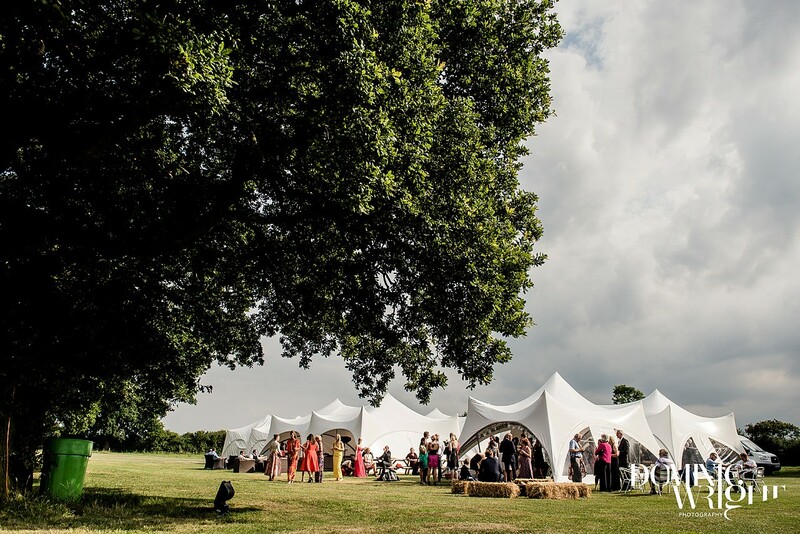 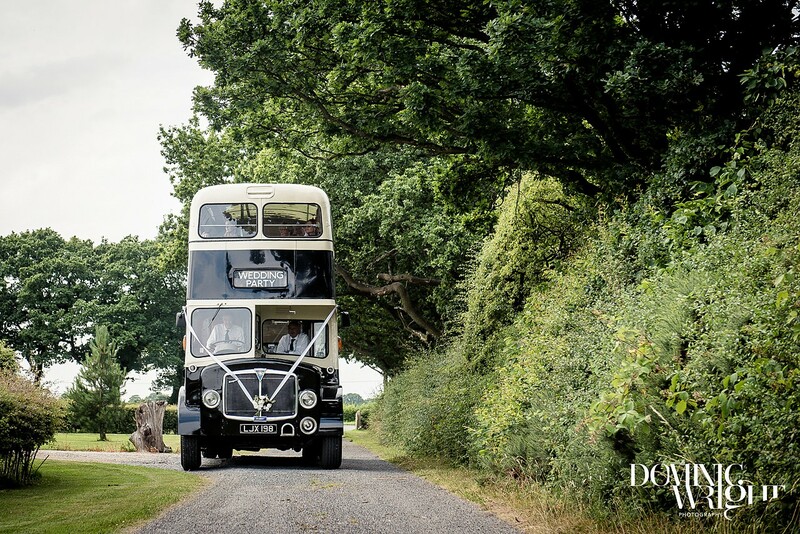 The Marquee’s and lighting were constructed along the tree-line, giving the venue a beautiful perspective and providing the 100+ guests with a perfect setting for the day. 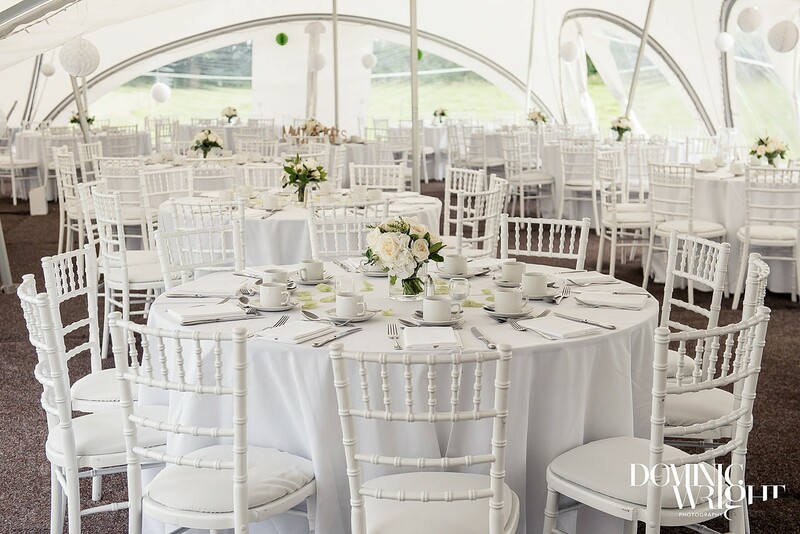 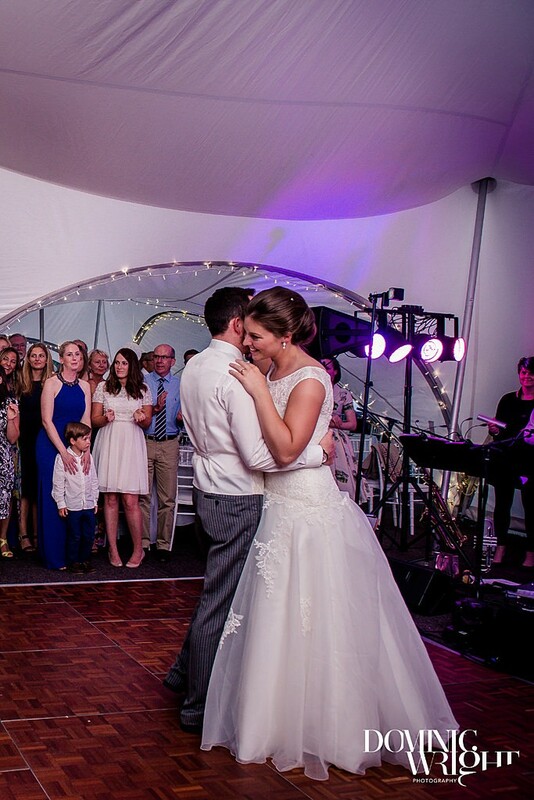 A dance floor, catering tent, and an outside seating area was also provided for the guests all fully carpeted, with natural flooring and lighting throughout.